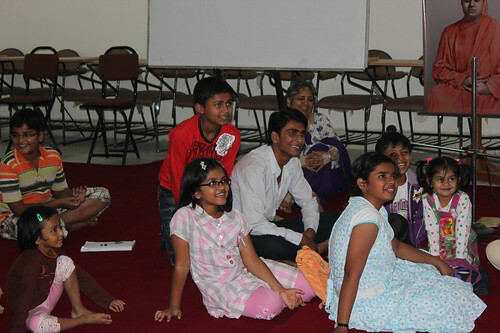 Vivekananda Youth Forum (VYF) was launched in 2007. 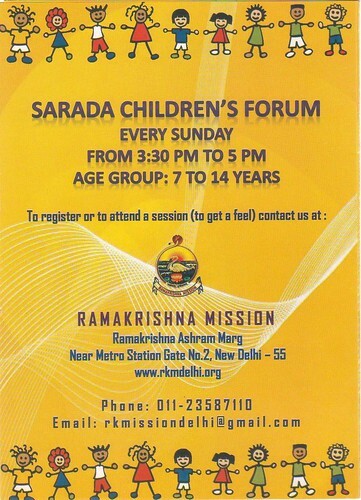 Vivekananda Youth Forum is a gathering of youth, which meets on Sundays for discussing issues related to Indian culture, spirituality, character-building, philosophy etc., in the light of Swami Vivekananda’s teachings. Healthy discussions are encouraged with senior resource persons acting as moderators. 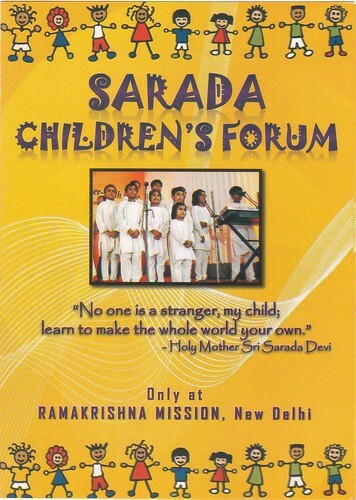 Sarada Children Forum was launched in 2007. 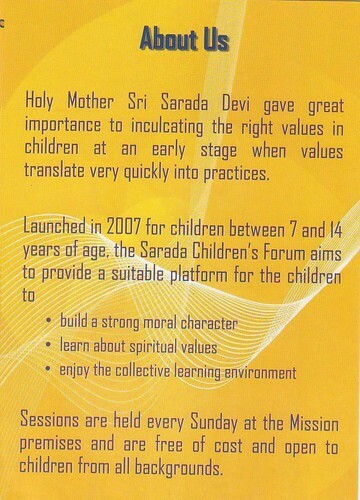 It is conducted on Sundays in the morning for the age group of 7 to 15 years. 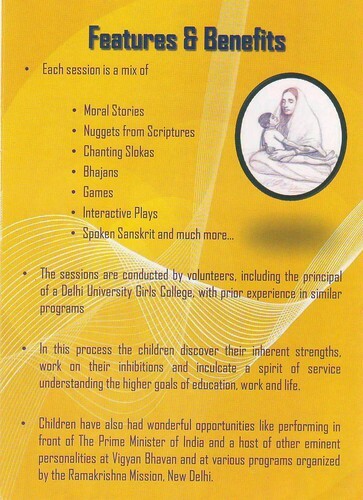 The forum tries to inculcate moral and spiritual values and also a spirit of service through programs appropriate to the age group.